US PREP EXPANDS ITS REACH! 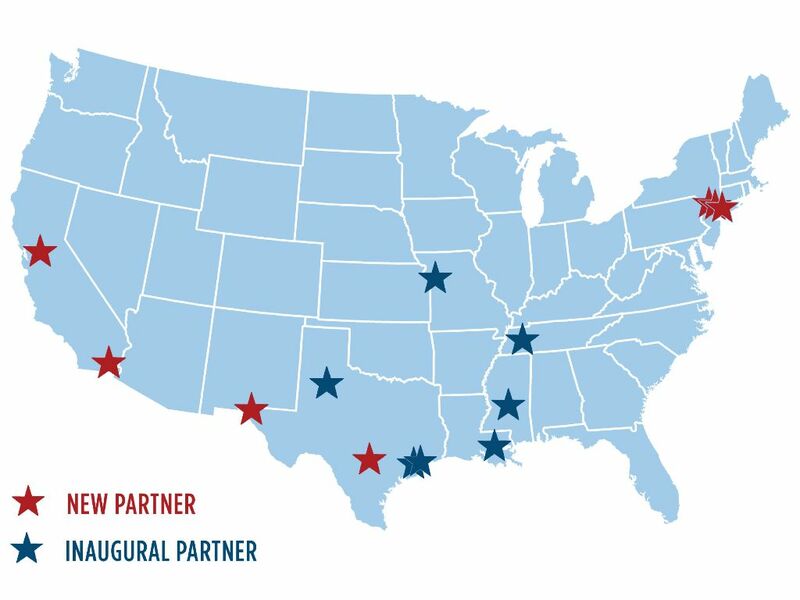 In 2015, the University-School Partnerships for the Renewal of Educator Preparation (US PREP) National Center was launched with efforts focused on the southern and midwestern parts of the U.S. This coalition, originally comprised of eight universities and school district partners in Louisiana, Mississippi, Missouri, Tennessee and Texas, is now expanding to New York and California, targeting educator talent pipelines for some of the biggest school districts in the U.S., such as the New York City public school system. Collectively, the coalition will prepare over 5,000 new teachers each year. T hose selected include three colleges in New York City: Lehman College and Brooklyn College, which are part of the City University of New York (CUNY), and Touro College. Two California universities are also joining US PREP: San Diego State University (SDSU) and University of Pacific. Rounding out the new partners are the University of Texas at San Antonio (UTSA), the University of Texas at El Paso (UTEP) and one other, yet-to-be-announced Texas university. The resources offered through US PREP include coaches who collaboratively design improvement plans, provide on-the-ground support, and work hand in hand with university-based, district embedded teacher training programs. "US PREP has served as a catalyst of support and leadership for Jackson State University's teacher preparation program. The professional development, activities and engagement with US PREP staff and coalition members have catapulted the organization to a more intentional approach to improvement and redesign." US PREP offers guidance and hands-on assistance with designing intensive clinical experiences, which feature an extended student teaching experience, professors of practice/site coordinators, and the use of video technology to capture and review instruction. In addition, the Center also provides support with redesigning coursework to focus on teacher candidate content knowledge and competency-based learning, providing teacher candidates with more practical and relevant skills for the classroom. The transformation process typically takes three to four years. After the transformation period, partners continue to have access to US PREP resources, including a library of proven teacher prep courses honed through research, bi-annual convenings, and opportunities to apply for the innovation pilot grants. University-school partners may also remain active within the coalition through sharing in a teacher preparation Professional Learning Community and by providing leadership for others engaging in this critical work. The three-year retention rates for graduates of the US PREP model is 88 percent. Exit surveys suggest that the majority (over 94%) of the graduates feel confident to teach. Teacher candidates are positively impacting student achievement during their residency year. Further, as part of the student perception survey assignment, teacher candidates have developed and implemented improvement plans in classrooms that effectively improve children’s perceptions of the teacher and the learning environment. "We’ve seen the US PREP model have tremendous success preparing high-quality teachers across the southern regions of the U.S., and we’re extremely proud to see it spread even farther as we continue to ensure that every child, especially our historically underserved students, have access to high-quality teachers,” said Beal.